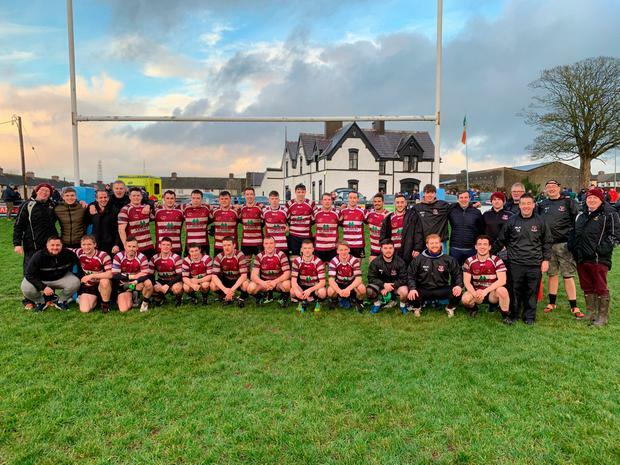 Creggs RFC produced a professional and clinical display to defeat Castlebar RFC 19-0 and claim the Cawley Cup for the first time last Sunday. At a wet and windy Crowley Park, the village ensured they made every opportunity count in the first half by running in two tries in their only two visits to the Castlebar 22 to take a 12-0 lead into the break. A third try then stretched their lead early after the restart, and from then on it was a case of their defence holding firm as the Mayo side struggled to break them down. The win tops off a brilliant 2018 for Creggs who were also crowned Curley Cup champions earlier in the season. They're also very well placed in the J1A league, sitting six points behind leaders Connemara with a game in hand. The two sides will meet again on January 5 in J1A.